Flying outdoors, it takes more time in the winter to learn new tricks, so for me, it’s simulator time. Personally, I like to discipline myself when I fly; let’s face it, the simple option is to just perform the manoeuvre wherever you happen to be in the sky, but if you want to be neat, do as I do and imagine you have a restrictive box in front of you. How big should it be? As a rule of thumb, try to imagine the sort of area you’d be limited to at a fly-in or competition. Let’s assume that you can now achieve the flying manoeuvres and style that have been covered in our ‘how to’ section so far. As we move into learning even more stuff, bear in mind that you need to keep on top of those manoeuvres we’ve already covered – I like to think I can fly basic to medium manoeuvres very well, and this is because I practice them to the point where I can place them to either side of me and in front, this making them second-nature to me. It’s so easy to try and run when really, we can barely walk in terms of performing our manoeuvres. Give me a well performed flight flown with well executed, basic to medium manoeuvres, and I’ll prefer this to a ragged flight of harder manoeuvres any day. My guess is that most of us will admit to running off and trying the next manoeuvre before we have really finished with the last one – so, over the winter months, it could be a good idea to consolidate some of the fundamentals in 3D flying. Dodge the bad weather to nail your skills as best you can, and if you’ve got one, hone them on the simulator too. Apart from failing to practice those all-important basics, I’ve also noticed that many pilots seem to avoid pirouetting manoeuvres, without good reason. So, your assignment for this issue is to move from the basic, single pirouette (performed in front of you) to the pirouetting figure-eight. The brave flier might start with a fast 360˚ pirouette just to get it over quick, before sorting out any imbalance when he is back in his familiar position. Alternatively, a more dedicated learner, who needs to feel in control throughout the entire manoeuvre, will invariably start with a very slow rotation speed. The latter, I think, is the correct method to use when figuring out exactly how to gain control of your pirouettes. In essence, you need to feel, and be aware of, what’s happening to the cyclic through this manoeuvre. As you move from your hovering position (at a comfortable low to medium height) into a slow pirouette, the cyclic control should have a steady response, going in the other direction around the transmitter if performed in light winds. Think about it: you need to have some cyclic input at any given moment, to stop the wind blowing your helicopter off course. 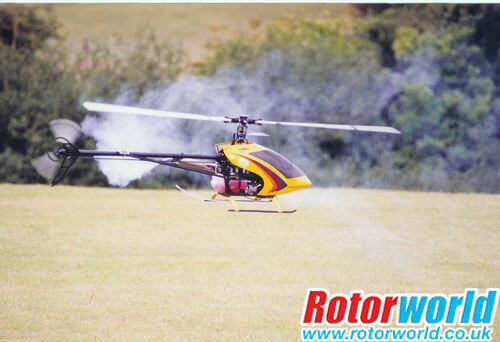 So, as the helicopter’s orientation changes, you need to keep that swashplate angled into the breeze, thus allowing a hover in any given spot, whatever the orientation. 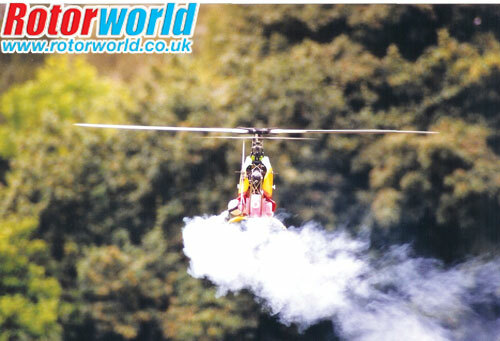 To get the pirouetting helicopter moving around, think about what we do to fly the model in standard, forward flight. It all starts with the hover, and the rotor disc flat – then, we introduce some forward cyclic to start moving at our desired speed, this being quickly followed by an application of opposite cyclic to flatten the disc off, thereby maintaining both attitude and velocity (speed and direction). It sounds a lot, doesn’t it, but you do that every time you fly away, and think nothing of it! 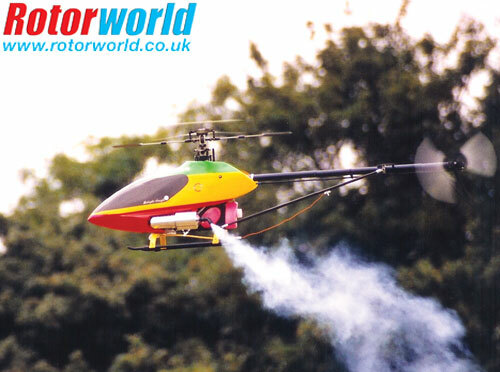 It’s fair to say that where the swashplate and rotor disc tilt, the helicopter will follow. The same principles apply to moving the model while it’s pirouetting, the only difference being that you need to build an instinctive reaction to where the correction and resulting commands need to be placed. There is a definite rhythm that can be developed when controlling a pirouetting helicopter; if you turn to the right, as I do, then corrections will be in a counter direction on the cyclic, and timed so that for each revolution of the model you will find yourself chasing the cyclic all the way round for that one revolution. 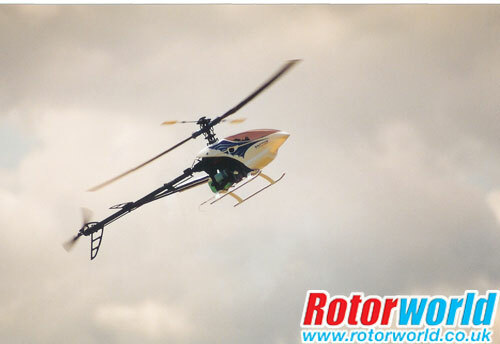 Another way to think is this: if you are pirouetting slowly in a clockwise direction, and you want to move away in front of yourself, apply only a little forward cyclic as the heli points away from you. Now, as the helicopter rotates to a side-on position and hence sideways flight, the cyclic input will need to be coming from the left aileron/cyclic, in order to keep this attitude in balance. 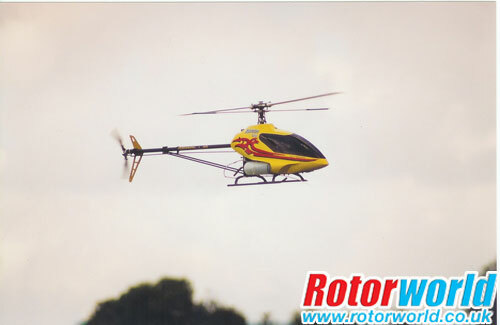 As the helicopter has rotated 180˚, meaning it’s now looking at you and travelling away, the cyclic will have also rotated to the application of back elevator/cyclic. Okay, on to 270˚ and the last quarter of our pirouette, with side flight again and right aileron/cyclic at the transmitter. Using the above example, a simple forward movement while pirouetting has required the cyclic to be input in a circular direction on the transmitter that’s opposite to the tail direction input. Believe me, if you’re a flier who can manage just about everything I’ve been teaching you these last few months, then it’s about time you started having a serious look at pirouettes. Try to take it in small steps – to my mind, it’s far better to make shorter attempts than stick at it for long periods. Want to hear about a little shortcut you can use while pirouetting at slow speeds? Only use forwards and back cyclic to correct your flight, because this will let you think about nose and tail corrections only. This method only really works for a slow pirouetting flight, but if you persist with your practice, you will soon find yourself using all the cyclic controls anyway. First of all then, you have to master the slow pirouette in the hover. A good position would be to have the model’s skids at head height, and about 30ft away – when you can manage that, you’ve cracked it. Next, you can move on to slow, forwards pirouetting flight. 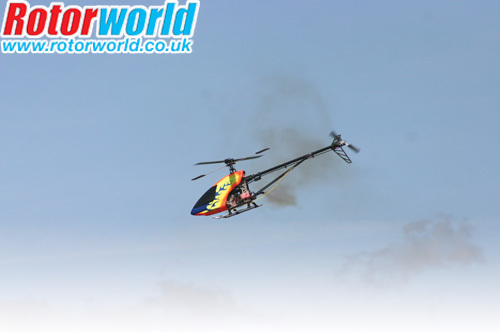 Early attempts are best made away from the pilot – master fliers are able to start from either side, and pirouette along the flight line at a consistent height and speed, but don’t attempt that just yet! All that’s left for us to discuss this time round is directional control. 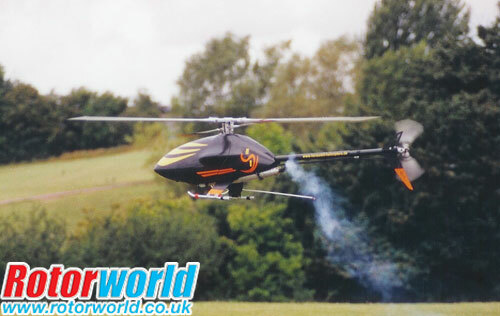 In order to alter the path of a helicopter moving forwards, you require some aileron or cyclic, applied 90( to its flight path. The same applies for that ever-moving swashplate when executing a pirouette. Okay, let’s say you’re pirouetting in a straight line, and you want to turn left. When the helicopter is coming around and facing forwards, apply some left aileron at that moment; now, you will be looking to correct this imbalance for the aileron input and it’s new direction of travel. If you are pirouetting very slow forwards, we could say that the model is still in the hover, and has not therefore made a transition to forwards flight. Slow hovering speed is good for the learner, because coming out of it into forwards flight brings forces like inertia into play, and you will naturally develop the skills required to deal with this. Once you get the hang of coping with the helicopter in pirouetting mode, then a whole new set of tricks open up. You may find it very hard working out what’s going on at first, but stick with it and trust me, after a while you’ll definitely feel your level of control improving.